Description Deals with land conservation financing. This book provides advice on how to tackle the obstacle to protecting private land in America: lack of money. It outlines essential tools for raising money, borrowing money, and reducing the cost of transactions. It covers a range of subjects including transfer fees, seller financing, and more. 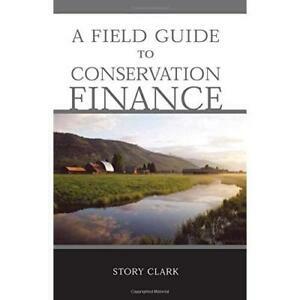 Author Biography Story Clark is a consultant specializing in land conservation strategy and finance, advising conservation organizations and foundations in the Rocky Mountain Region and elsewhere. She currently serves on numerous academic and business boards and is a frequent speaker and instructor at land conservation conferences. Directe betaling van GBP 34,16 is vereist.